What Is The Best Time To Hunt Brown Bear? Found in the mountains and forests of North America, Asia, and Europe, the brown bear covers the largest area of any bear in the world. 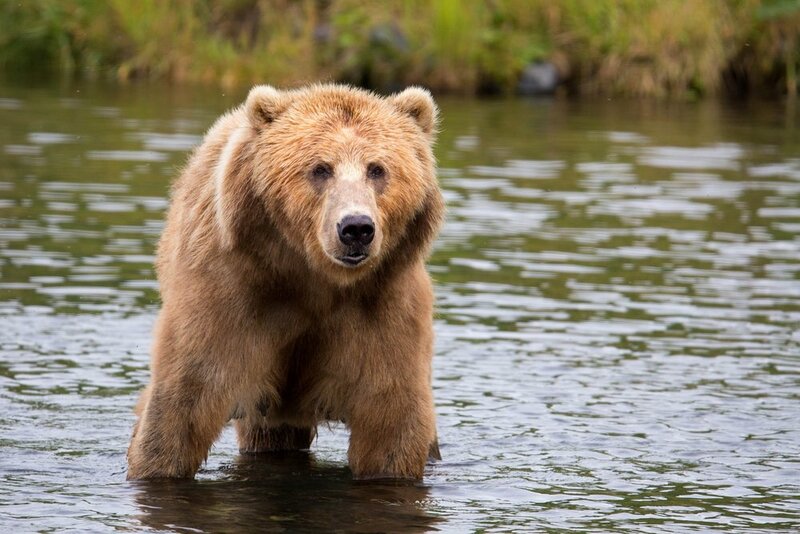 Generally solitary animals, brown bears can be found in groups during feasting seasons such as the Alaskan Salmon run. Brown bears range in size from 180-1,300 lbs. and can be anywhere from 2.4 to 5 ft when measured from the shoulder. Hunting these bears can be particularly dangerous as they can be very aggressive, especially if you find yourself between a mother and her cubs. Location: Brown bears can be found in a wide variety of habitat types. While in Europe they prefer mountain woodlands, North American brown bear can be found mainly in alpine meadows and coastlines. Time of Year: Like the black bear, brown bear can be hunted during the spring and fall seasons in most areas. While both seasons provide increased brown bear activity, many hunters prefer the fall months as the bears are actively in search of food before the winter. Time of Day: During the months of spring and fall, brown bears can be found throughout the day in search of food. However the best times to increase your chances of a brown bear sighting tend to be in the hours of early morning and early evening. Temperature: Brown bears are the most active during the cooler months before and after winter as they search for food to prepare for winter or look to bulk back up after hibernation. Barometric Pressure: Brown bears do not seem to be affected much by changes in barometric pressure. However, bears, as with most animals, tend to be the most active during the coolest times of the day. General Weather Conditions: Like other bear species, brown bear activity is not dramatically affected by general weather conditions. However, brown bears have an extremely acute sense of smell, so weather involving strong winds is not ideal for hunting. Wind: As mentioned above, wind is one of the most important factors to consider when hunting brown bear. Because of their keen sense of smell it is important to position yourself downwind from bears, and to plan your hunt for days of calm wind. Want To Find The Best Hunting Times For Brown Bear?